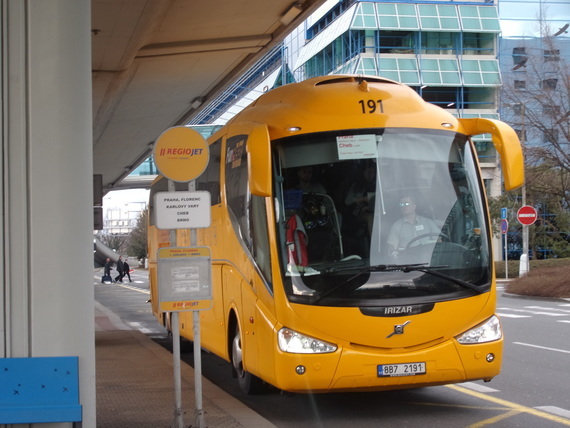 RegioJet buses depart from the Intercity bus stop of the airport. 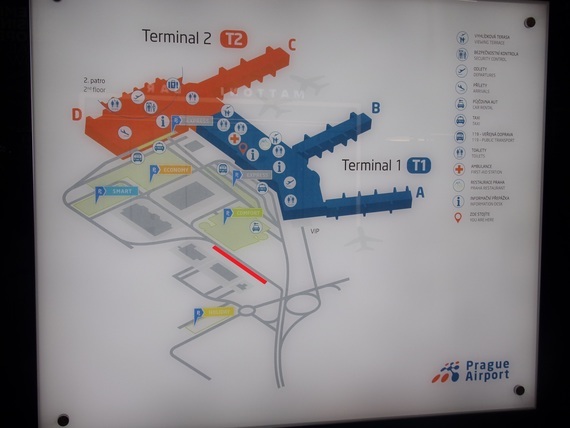 The stop is located under the bridge, which is visible from both terminal halls, it's marked with red on the airport map (picture 3). 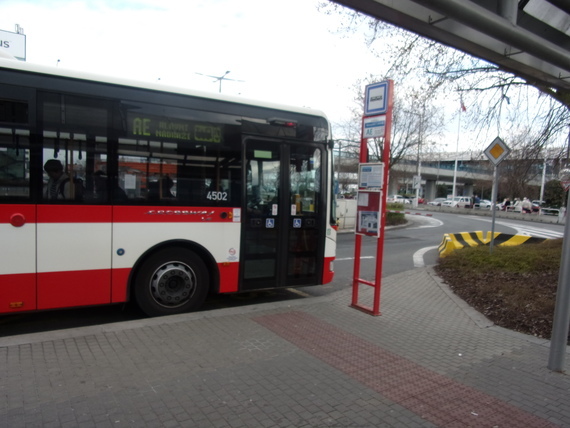 RegioJet buses have their own stop, marked by the unique bus stop sign (see picture 1). 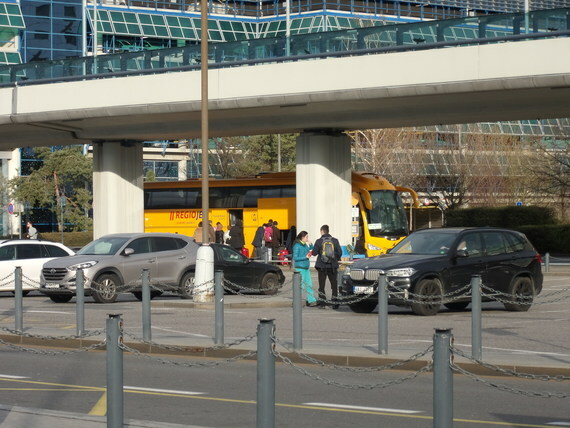 DPP's Airport Express (AE) buses have their own stop (see pic 4). Follow the bus signs from the exits.